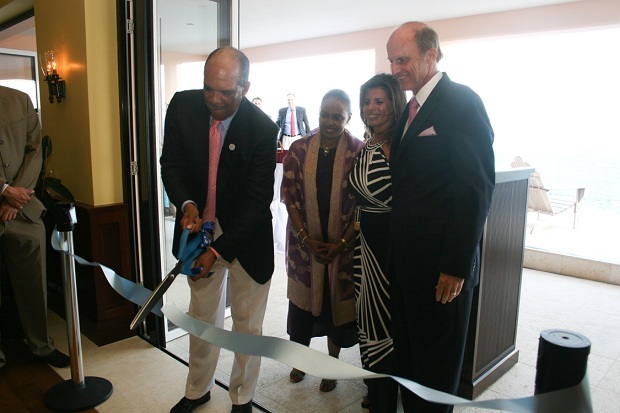 One of Bermuda’s hotels has recently finished renovations and expansion, including adding in fractional ownership. In addition to their award winning hotel, The Reefs Hotel & Club in Southampton offers 19 two and three fractional ownership bedroom residences, all with unobstructed ocean views and private hot tubs on the verandas. Residences are furnished in contemporary Bermudian style and feature amenities such as flat screen televisions, spa bathrooms, and gourmet kitchens. The Reefs, managed by David Dodwell, has been consistently ranked in Travel & Leisure Magazine as one of the best resorts in the Caribbean, Bahamas and Bermuda region and has been operating since 1947. One of the keys to Bermuda’s tourism turnaround is proactive, visionary leadership among our hoteliers. The recognition that what was good enough forty years ago isn’t good enough for the modern, sophisticated traveler should compel our entire Tourism industry to keep our product renewed, revitalized and ahead of our competition. The fact that The Reefs have made a commitment to employing, promoting and retaining Bermudians within its staff should be noted. We often say that the best thing about Bermuda is our people and The Reefs should be praised for keeping Bermudians on the frontlines of tourism at their hotel.